Verdict: this film could have been so much hard hitting than it is. Directed by Robert Mullan, Mad to Be Normal centres around R. D. Laing, a psychiatrist known in the sixties and seventies for his unconventional treatment of mental health issues, primarily those of non-medicinal nature. Being both a biopic of an interesting true-life character and focusing on topics still prevalent in modern society, this film had the potential to change perspectives and send a message – much like its muse did. However, what was instead provided was a somewhat lacklustre retelling of a man’s life events. Early on, the monotonous tone of the film is established, which is surprising for a film about such a controversial person and subject matter. Each line is delivered almost nonchalantly; the words don’t command attention. It never feels as though what is being said must be listened to and therefore engagement with each scene takes that bit of extra effort. When that extra effort and attention is given to the script, the film does draw attention to various issues surrounding the stigmas of mental health; but this must be searched for. Outdated therapies like electric shock treatment are portrayed in some scenes to highlight the inhumane treatment of psychiatric patients in the past and show the progression of attitudes towards mental illness over the past few decades. Equally, the film does capture the debilitating nature of mental illness in a raw, true manner. It is not glorified or trivialised. In short, the film does not use mental health as a form of entertainment, something extremely important in both a film based on true events and real, current matters. The primary issue in terms of its message, however, is its lack of power. As mentioned, meaning must be searched for and the message itself doesn’t command attention; in order to fulfil its desire to open viewers’ eyes and minds, Mad to Be Normal could have benefitted from more enthusiasm. The film’s true strength can be found in both its performances and its style. It captures the sixties feel very aptly. The costume, the soundtrack and the set all work in creating a distinctly sixties vibe in such a way that it wouldn’t be hard to believed it was in fact filmed in that time. The film could be deemed a modern historical piece – it knows when it is set and who it is portraying. In the same vein, the casting was very apt. 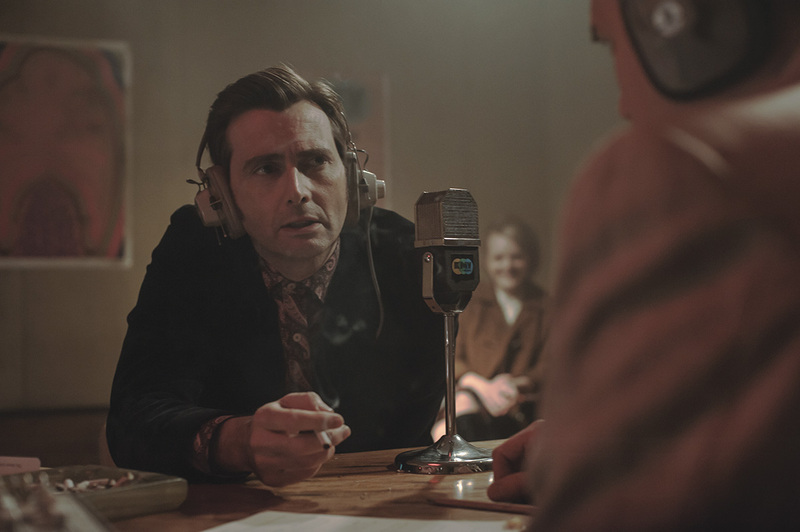 David Tennant (Jessica Jones) gives an admirably nuanced performance as R. D. Laing and shares natural on-screen chemistry with co-star and female lead Elizabeth Moss (The Handmaid's Tale). However, the film’s downfall in this department is that, despite being set in such a distinctive era, it struggles to find its individuality or identity. It simply tells its story bit by bit with little passion or that sixties flare. This is where the film falters the most. Its unfocused narrative. The story seems to happen as it wishes. Each scene portraying its own life event before switching to the next in an almost arbitrary fashion. Whilst this may be true to how ordinary life unfolds, this narrative progression is not easy to follow and ultimately weakens the delivery of what could have been an important and meaningful message. Despite clear attempts and skilled craft, Mad to Be Normal fails to pack a punch. It’s strong performances and outlook on mental illness are ultimately weakened by a story lacking in substance and direction. Mad to be Normal will be available on VOD from 13th August.